Welcome to my day on the Summer in the Country blog hop featuring Island Batik Ambassadors. This is my second year being an ambassador for Island Batik and I also design patterns for them. Island Batik is a wonderful company to work with! Today I have a tutorial for placemats that look great on a round table. If you don’t have a round table just skip the part using the template. We use placemats all the time…..don’t these look great out on the deck? Being an ambassador means getting to work play with new fabrics before they hit the stores. The fabrics I used are from a couple of groups. The green batik is County Fair – 111501114, the blue batik is a Basic called Bluebird, the blue/green animal batik is Meadow – 111515092 and the neutral I used is Heavenly Hues Halo – 121413266. Sew the pieces together as shown below with a 1/4” seam allowance. Make two separate sections. Trim the sections to 4 – 3 1/4” x 16” pieces. Cut 4 – 1 1/2” x 16” strips of the neutral batik and add to the top of the sections. You can see mine are a little longer than needed. Cut 4 – 8 1/2” x 16” pieces of the blue/green batik and add to the top of the neutral strip as shown below. Add your backing and batting and then quilt as desired. 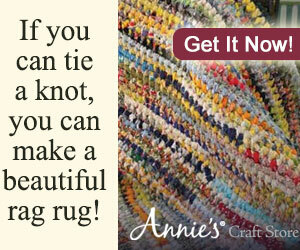 If you would prefer to make rectangle placemats you can now trim the piece and add binding. I made a template out of freezer paper and ironed it to each piece. I then cut around it, pulled it off and repeated with the rest of the placemats. My template is 15 1/4” wide by 12′ tall and you can download it here. Because the placemats are curved you will want to use bias binding. Here is a closer picture of one of the finished placemats. If you would like to see the matching table topper, here it is. Cooking is never my strong point but all of the ambassadors were asked to share a recipe. I have been eating tons of salads lately and here is how I make it. Romaine lettuce,tomatoes, cauliflower, onion, mushroom, carrots. For a dressing I mix together 1 tablespoon of olive oil, 1/2 tablespoon balsamic vinegar and a little garlic salt and pepper. I had planned on doing a giveaway with some of the same batiks I used but……guess what….I have very little left so….for a giveaway I am giving the table topper and placemats. For a chance to win just leave a comment. Giveaway will end Monday September 6th at midnight CST. Congrats to Sherry who was the winner! Join us for a blog hop with the Island Batik Ambassadors! Each of the Ambassadors will be sharing a country-inspired project and a favorite summer recipe, and many will be hosting fabric and pattern giveaways too! Island Batik has a fantastic giveaway going on with two bundles of beautiful batiks so be sure and enter here! Here’s the schedule, I will keep updating it with the actual links to each blog post! These are lovely and my favorite colors. Love this design. Great giveaway. Thanks, Connie. Love green and blue together! My favorite colors and batiks too. Sew beautiful. PS When I get to the end of the jelly or preserves I use the jar to make dressing. The little leftover fruity goodness adds a little something to the vinaigrette. What great placemats! They would really perk up our dining table. Thanks for the great tutorial! Those placemats are in my favourite, most soothing colours! What a terrific giveaway! Loved your tutorial. I love your table runner. The quilting really shows up. What a wonderful pattern. You did yours in my favorite colors! I am going to try this pattern for some Christmas presents. Connie – I love following your blog, you are always so generous with your knowledge. Thanks for showing this tutorial and the chance at such a wonderful giveaway? I love the place mats and plan to make for our kids for Christmas. Thanks for sharing. beautiful table top and place mats. thanks for the chance to win your giveaway. Thanks for the tutorial. I love that blue and green batik with the animals. beautiful palace mats, love the shape! Love the unusual shape and how they fit the table so well. The colors are gorgeous. Those placemats are great! What a wonderful shape! Beautiful, something I would really enjoy! Thinking about it…. I don't have any sewn item that isn't made by me! How nice it would be to receive a gift made by someone else! gorgeous placemats and topper. they are in my favorite colors and i just happen to have a round dining table. Great tutorial. I love the freezer paper template idea. You are extremely generous with your giveaway – especially with how beautiful they are on your table and your DECK! The neutral adds an element of contrast that not only makes the project pop but also makes the placemats very, very clean looking. I have a quick question, how wide did you cut the bias binding? This is gorgeous fabric. I'd love to make up a baby quilt with this. What a generous giveaway! Thank you for giving us a chance to win the placemats!! These do look gorgeous especially out on your deck. The outdoor light seams to make the colors even richer. Your placemats and table topper are beautiful. Thank you for sharing and for the giveaway. This set would look great on my round table on my lanai. I adore these placemats! I always use them when we dine outside on the deck, but rarely do we use them inside. We probably should though! I like how the bright batiks just seem to glow outside on your table. Thanks for the how-to also! Just wanted to tell you those are great colors! Gorgeous fabric making gorgeous placemats! I love them Connie! I just have to win because blue and green are my favorite colors, so please pick my number!! Such beautiful placemats! Than you for the opportunity to win. Love the blue greens . Very pretty! Thank you for the giveaway. What beautiful placemats and table topper. They would look great on my table,too. I just love your table topper and placemats! They look wonderful out on the deck! Thanks for the chance to win them! Love how they turned out great job Connie as always. love your Blog. Also thank you for your generous Giveaway. Connie, I love these! They are perfect for the table in my sunroom! Even the color is just right. I follow your blog and your tutorials are easy to understand. Thanks for what you do………and I hope I win! As always Connie, you've created a beautiful set that one very lucky person will be thrilled to win. You're so awesome to give them away with all the work you've done in making them. Thank you for being so generous with the tutorial and giveaway. Beautiful placemats. Thank you for sharing with us. Thanks for sharing this tutorial . . . I love the shape of these placemats. And thanks for the opportunity to win the set! Very nice placemats and table topper, they really are bright and cheerful!! Love those placemats…my round tables would love fantastic with those babies! Thanks for the chance! Thanks for the fantastic tutorial. These would look lovely on my round table in my kitchen. Oh, Connie, they came out beautifully! You make a great ambassador! What a sweet give away. Thanks so much. I do have a round table these would look great on. Thanks for the chance. Oh, how I love that northwoods theme. It really spoke to me! Love your tutorial, and the salad sounds delicious! Wow, you are incredibly generous to give away these beautiful placemats!!! They would be perfect on my round table!! I would love to have anything made by Pelly's mom!!! oh Connie, these are so pretty. I love how you made the top of the placemat round. Ohhh these would be perfect in our kitchen. Thanks so much for a chance. Opps, thanks for the pattern also. I just love that Meadow fabric with the animals on it! Great way to showcase it. Oh what a beautiful project! They would fit right into my house and round table! The colors are perfect too! Thanks so much for sharing your tute and for the giveaway! As always another perfect project! these look great Connie! fun shape and great for a round table for sure…. Love those colors! I have a veranda table that is waiting for something new! Your placemats are gorgeous Connie! I love the colors and shape. And I'm envious of that wonderful deck you have :). Thanks for sharing. Blues/greens combos are my favorite! Placemat set is lovely. Another great project Connie, I love the colors and yes they do look great on your deck. I love your fabric choices and the great tutorial for you placemats. They look so pretty on your table on the deck. This fabric would match my dining room perfectly. Thanks for doing this great giveaway!! These are awesome placemats in your gorgeous Batiks. You do gorgeous things with Batiks.Because of you I joined a block of the month using Batiks. I usually do not use them for some unknown reason. What a generous giveaway Connie! I love your idea for these placemats, that pattern looks perfect for some fabric I've had hanging around for way too long, waiting to become placemats. Now to find some time amidst the big quilt projects. The fabric choice is gorgeous and your tutorial is very easy to follow. I live making placentas for my table. This may be in my lineup of fun and easy projects. Thank you for your generous creativity. Those are really pretty, Connie – especially with those colors by the water. I also like how you rounded them off for a round table. Love the projects and the batiks. These are my colours. This is my project for quilting this week – need placemats!